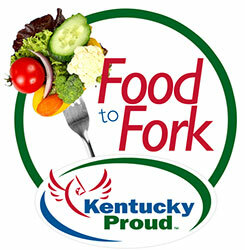 FRANKFORT, Ky. – The Kentucky Department of Agriculture is accepting applications from community organizations interested in hosting Kentucky Proud dinners now through fall of 2016. The Kentucky Proud Food to Fork Program will provide funding to qualifying applicants for dinners that showcase local food products. The program will also promote local agritourism businesses and provide educational background on locally produced agricultural food and products. Applicants must agree to display the Kentucky Proud logo in all graphics and promotional materials for the event. Successful applicants will agree to make every effort to source local agricultural products from area farms and producers. Applicants must designate a registered 501(c)(3) charitable organization as the beneficiary of the dinner. The department will provide a 50-50 match for eligible expenses. Funding limit will be based on attendance. Applications must be submitted by Sept. 2 to Alisha Morris, Kentucky Department of Agriculture, Office of Agricultural Marketing and Product Promotion, 111 Corporate Drive, Frankfort, KY 40601 or alisha.morris@ky.gov. Successful applicants must hold their events no later than Nov. 30. To download an application and guidelines, go to the Kentucky Department of Agriculture’s website, www.kyagr.com, and click on “Kentucky Proud” in the Forms menu.